Of all the famous painters belonging to the “American Pop Art” movement, Tom Wesselmaan is the one held in the lowest regard by American museums. In 2012, the Montreal Museum of Fine Arts upped the ante by organizing the first North American retrospective dedicated to the artist. 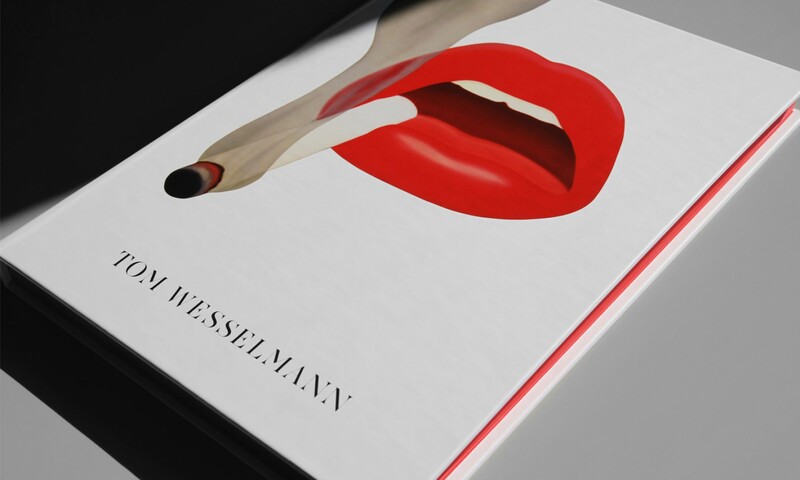 The MMFA asked Paprika to design an exhibition catalogue which would present Wesslmann as an important Pop art figure and especially as a serious painter who has revised art history on his own terms through classic subjects such as nudes, still life, and landscapes. Thus, we decided to move away from the typically ostentatious pop style and to opt instead for a classic and simple graphic approach. To arouse the same disturbance that Wessenlman triggered with his drawings in the past, we presented the new taboo of our day on the book cover: cigarettes. We also wanted to honour the artist’s oversized works with a big format.